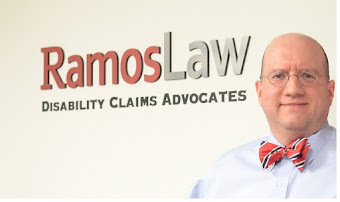 Many clients ask their Social Security Disability lawyershow working under the table will affect their eligibility for Social Security Disability benefits. Under the table income is not taxed, therefore no deductions are taken from these monies to pay into the Social Security system. For this reason, persons applying for SSDI with a history of working under the table may not have enough credits, or quarters, paid into the system to be eligible for benefits. These applicants may only have the option of applying for Supplemental Security Income (SSI), which is an asset-based program. This is measured based on the amount of money in the bank or the amount of assets (or property) that a person has. Moreover, under the table work can present some problems during a Social Security Disability Hearing. Failing to report income and pay taxes can be seen by some judges as a sign of dishonesty. Nonetheless, it is important to be completely honest from the outset and disclose all work related information to the judge. In our experience, it is much worse to get caught lying about your work than it is to admit that you performed work under the table. In an SSDI case, the judge will ask about the applicant’s work history. It is important to be upfront about all income made in the past 15 years, even if the income was not taxed. Though some work history is not on tax forms, judges can still find out about unreported work and income through other documents. Medical records usually include more than individuals think they do- and doctors, particularly mental health providers, usually ask and take notes about work history. It is always a bad strategy to assume that the government doesn’t know about your work history. In fact, you should make the opposite assumption: --assume that Uncle Sam knows everything about you! Be aware, claimentsget caught lying about their wages all the time. For example, many individuals who think that they are being paid under the table are not aware or do not remember that their employers have issued 1099 forms for some or part of the payments made for wages. This situation can cause some discrepancies between the testimony provided and the actual wages reported. Another similar problem occurs when a claimant is self-employed and does not report income for purposes of income taxes but then receives a 1099 form from one of his or her clients. If you are unsure about your eligibility for SSDI and SSI because your income is under the table, please contact our office for a consultation.